We are the topmost manufacturer of this domain, engaged in offering a wide assortment of Sub Switch Board. This product is well examined on various quality parameters before the final dispatch. 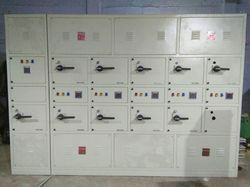 We are reckoned as a prominent firm offering supreme quality Sub Switch Board. • materials: stainless steel, steel, others. • It will be a single front floor mounting panel and have many outgoing numbers of feeders.